The author sent me a copy (mobi format) in exchange for an honest review (member of Rosie’s Book Review Team). Jack’s life is awesome. His store is making money hand over fist and his best friend has found love. So what if he’s feeling a bit restless and put out about his upcoming birthday and his ex is being a pain in his fabulous behind? That’s nothing he can’t handle, but then his super hot new bookkeeper discovers things at the store aren’t actually as they seem. Someone is playing fast and loose with the finances. Jack’s bestie and his gal pals, the grey-haired knitting detectives, jump at the chance to solve Jack’s problems. When they aren’t re-enacting scenes from spy thrillers, they’re setting Jack up on dates and generally insinuating themselves into his love life. They’re determined to find love for Jack as well as his missing money. Will Jack catch a thief or find love? Either way Jack’s going to get his man. This book focuses on Jack, restless due to his upcoming birthday, no current lover, and inexplicably decreasing business profit. With Jack Gets His Man, D. E. Haggerty has created an expertly worded and pretty funny suspense story with a romantic touch. The story comprises a broad variety of characters with sufficient depth, hilarious moments and interesting interactions to solve the case of the vanishing finances. I had a great time reading Jack Gets His Man – it is a very fun read. I was drawn into the story right away, chuckling about the cute gray-haired knitting detectives and their ways, seconding Izzy’s thoughts, trying to find the culprit and hoping that Jack really gets his man. This is for you if you like female sleuths, hilarious situations as well as a great combination of (cozy) suspense, humour and romance. A funny and suspenseful book to read again. I was born and raised in Wisconsin, but think I’m a European. After spending my senior year of high school in Germany, I developed a bad case of wanderlust that is yet to be cured. My flying Dutch husband and I have lived in Ohio, Virginia, the Netherlands, Germany and now Istanbul. We still haven’t decided if we want to settle down somewhere – let alone where. I’m leaning towards somewhere I can learn to surf even though the hubby thinks that’s a less than sound way to decide where to live. Although I’ve been a military policewoman, a commercial lawyer, and a B&B owner, I think with writing I may have finally figured out what I want to be when I grow up. That’s assuming I ever grow up, of course. Between playing tennis, running much slower than I would like, trying to adopt every stray dog within a 5-mile radius, traveling to exotic new locales, singing off tune, drinking entirely too many adult beverages, addictively watching new movies and reading books like they are going out of style, I write articles for a local expat magazine and various websites, review other indie authors’ books, write a blog about whatever comes to mind and am working on my sixth book. What about you? What did you think about Jack Gets His Man? 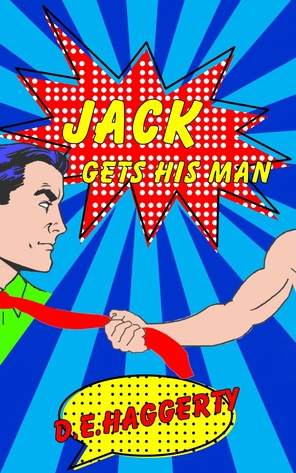 Or – if you did not yet read Jack Gets His Man – are you now interested in reading it yourself? If Jack Gets His Man was filmed – who should direct it, who could you imagine as actors? 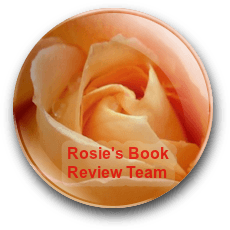 This entry was posted in Book Review, Rosie's Book Review Team and tagged #RBRT, book review, Goodreads, The Gray-Haired Knitting Detectives series. Bookmark the permalink. I’m so glad you enjoyed it. Thanks for taking time to write such a wonderful review. Now that puts a smile on my face 🙂 If you want a review copy of hte first book, just let me know. I’d love a review copy of the first book! A very funny sounding book, glad you enjoyed it. I enjoyed it pretty much. You’d certainly love it, Rosie.